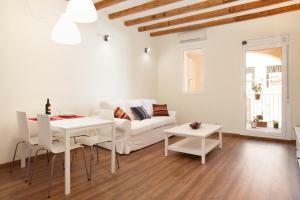 Situated in the charming Grácia neighborhood in Barcelona, Lodging Apartments Gracia offer free Wi-Fi, a flat-screen TV and heating. Gaudi’s famous Sagrada Familia is about 1.5 km away. These modern departments with simple décor feature plenty of natural light and a spacious living-dining room. 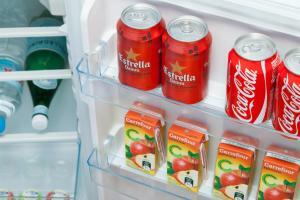 Each apartment has a kitchenette, microwave and coffee machine. 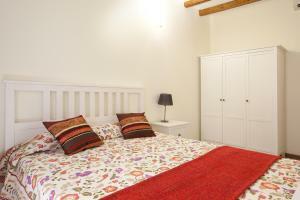 Fitted with parquet flooring, the bedrooms include a wardrobe. 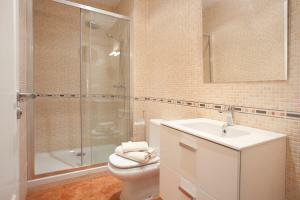 The private bathroom has a shower or bath tub. Bed linen and towels are provided. Within walking distance from the apartments visitors will find a variety of restaurants, cinemas and shops. Joanic Metro Station is about 10 minutes’ walk away. 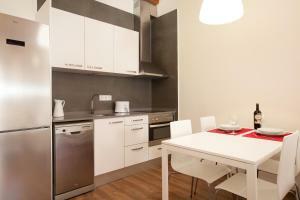 Plaza Catalunya and the city centre are 4.4 km from the apartments. Please note that there is a refundable damage deposit of € 200 - € 600, to be paid by credit card on arrival. This deposit will be refunded upon check out subject to a damages inspection. Please note some buildings do not have a lift. 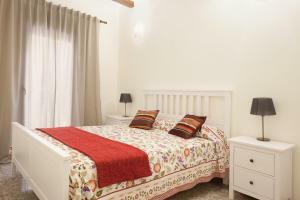 Address: Calle Milá y Fontanals, 88 This apartment can accommodate up to 4 guests and comes with a master bedroom and a small balcony. In the living area there is a sofa bed, air conditioning and WiFi. 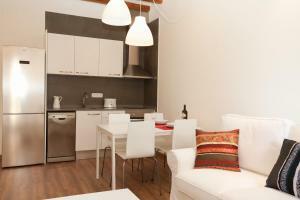 The kitchen is equipped with a dishwasher, microwave, toaster, electric kettle and a Lavazza espresso machine. Please note that there is a refundable damage deposit of EUR 200, to be paid by credit card on arrival. A mandatory cleaning fee of EUR 75 is not included in the price. 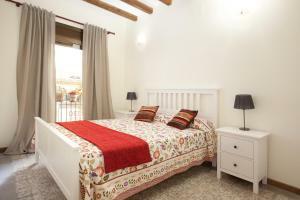 Rate: € 52.20 ... € 124.00; select dates below to get current rates.